This album is the first release in a series from the PaTRAM Institute. The music performed on this recording of Orthodox choral music in the Slavonic language was written by famed Russian composer Pavel Chesnokov. 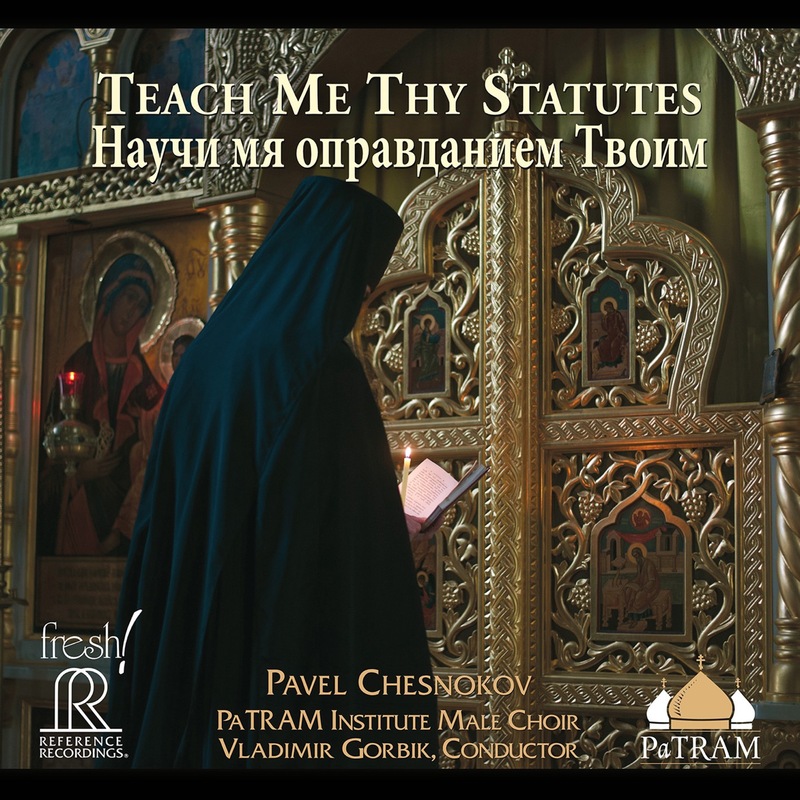 Teach Me Thy Statutes is performed by the PaTRAM Institute Male Choir, a highly professional group which is a collaboration of Russian and American singers. The male choir is considered by many to be the mainstay of traditional chant and Orthodox monasticism. This release was recorded in Russia in July of 2016 in the Apostle and Evangelist John the Theologian Orthodox Church at the Saratov Orthodox Theological Seminary. PaTRAM s objective was to immerse the listener in the beautiful Russian monastic style of singing through its fullness and richness of sonority. Highly-esteemed conductor Maestro Vladimir Gorbik, whose pedigree is from the Moscow Conservatory and as choirmaster of the Holy Trinity-St. Sergius Lavra Representation Choir, skillfully unites strong musicianship with superb diction to a degree that is seldom heard outside of Russia, but which epitomizes the best traditional culture of singing in the Russian Orthodox Church.